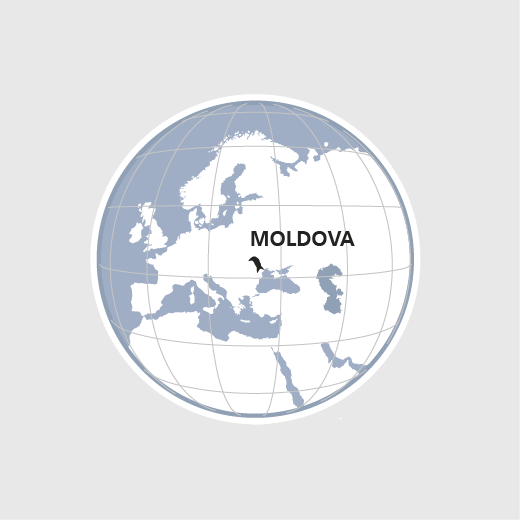 Moldova is Europe's poorest country. The modest economic growth of recent years has largely bypassed rural areas. Poverty and lack of prospects are driving the young and educated in particular to migrate to the capital or abroad. Those remaining behind are older people living in somewhat precarious circumstances. Because the State is unable to provide them with medical care, HEKS/EPER is supporting the expansion of the home care service run by its partner organization CASMED. And in an attempt to stem the rural-urban drift, HEKS/EPER is helping farmers to improve the quality and marketing of their products. Rural communities are also being encouraged to take local development into their own hands. In 2017, 1150 elderly people received medical care through the «CASMED» home care service. 4000 grape, berry and milk producers boosted their incomes thanks to HEKS/EPER.